Here is a fresh new counting book, filled with the happy helter-skelter of family life. 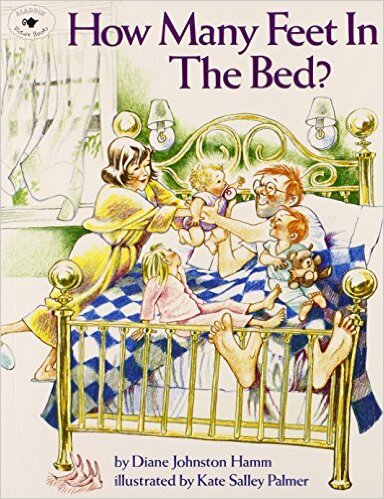 How many feet are in the bed? Two -- until more members of the family jump into the bed.